Two side by side food trucks outside the Court House on Pearl Street caught my attention as I was passing by yesterday afternoon. One was entitled Beans Inc. This caught my eye because I love beans, and the Cajun inspired dishes sounded very appetizing. Next to Beans Inc. was McDevitt Taco Supply. Their menu options sounded very creative and fresh with organic ingredients. Both looked like a must try. Brothers Bradford and Clayton run the taco stand, and Clayton claims Bradford is the one who came up with the idea along with the recipes. Their stand has been on Pearl Street since last May. Taco Supply offers a range of tacos from roasted sweet potato and black bean, Thai ginger tilapia and green chili and chicken. For a price of 3 for $8, why not try them all? Their ingredients are fresh and really come together for an amazingly delicious bite. 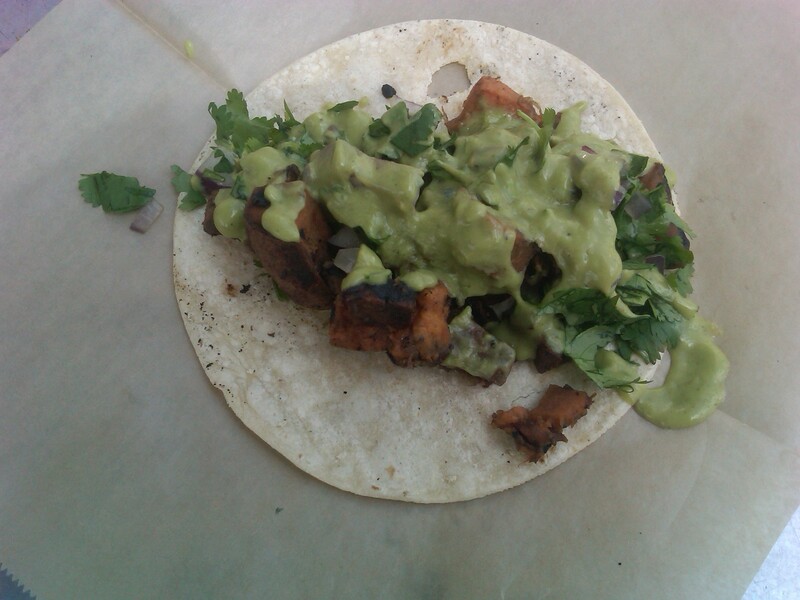 All tacos are topped with organic cilantro, red onions and an avocado tomatillo sauce. This summer, Bradford is hopping on the road to bring McDevitt Taco Supply love across the country to different musical festivals while Clayton holds down the stand on Pearl street. Javier Pujals moved to Boulder with his wife, 5 kids and dog from Chicago. He was a realtor for 10 years, and when he moved here he was cooking more and more for his family. Being a Cuban from Louisiana, Javier cooked a lot of beans and rice for his family. They loved his dishes and kept asking for more. One day Javier had the vision to start his business, Beans Inc. He has been on Pearl Street a little over a year now. He serves various bean dishes with a choice of white or brown rice. 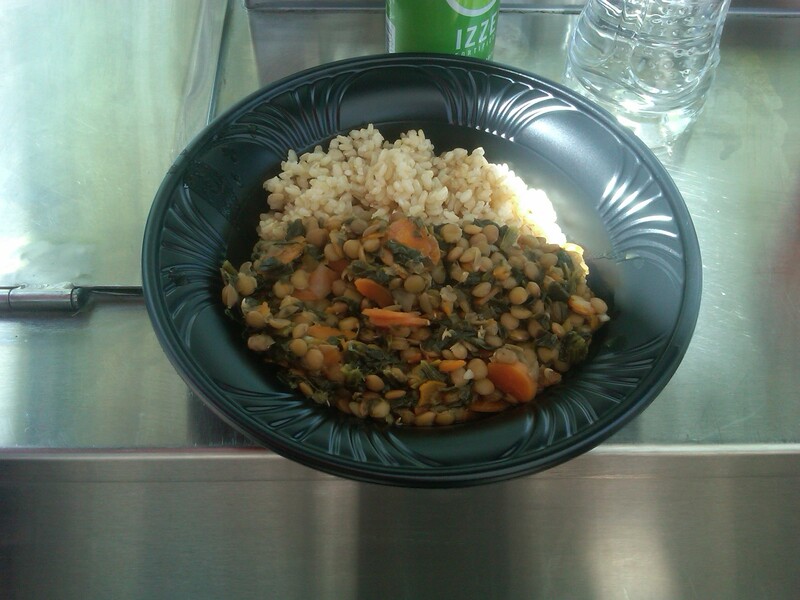 Options include lentils with spinach and carrots, Cajun red beans and sausage, classic Cuban black beans, jerk chicken and chicken verde and black beans. In the next few weeks Javier is going to incorporate various size options. Beans happen to have a lot of health benefits, which Javier proudly advertises. The front of his shirt says, “You don’t know beans”. 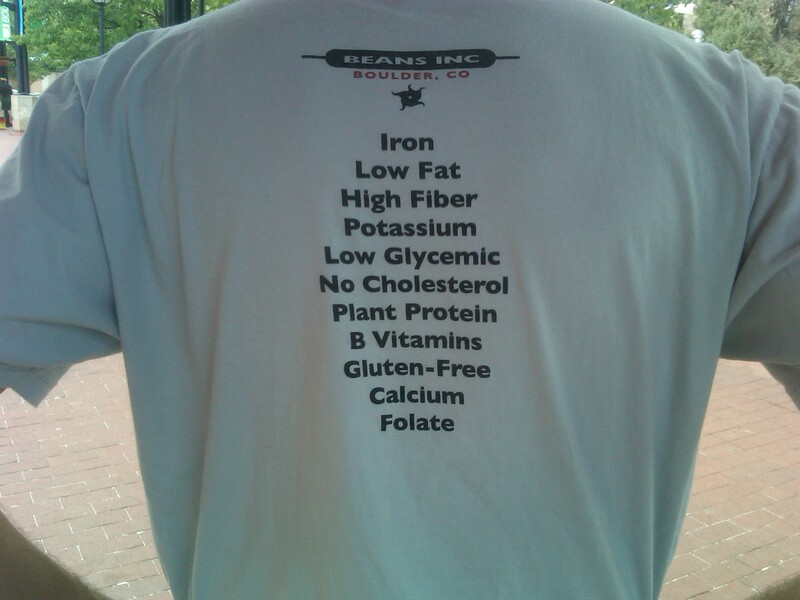 The back gives all the health benefits of beans. Beans are a nutrition power house! Find both food trucks during the week lunch hours and at various Boulder special events. Both provide food with quality ingredients and unique food creations not found anywhere else. They are both very affordable and provide a nutritious, tasty filling meal. The both sound good enough to try!